We are a leading Manufacturer of taper thread gauges, acme thread gauges, square thread gauges, thread caliper gauges and thread gauges from Mumbai, India. 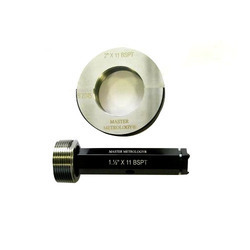 Pipe Size 1/16" to 3"
We are leading manufacturer, exporter and trader of Taper Thread Gauges and our product are made up of good quality. Pipe Sizes covered are from 1/16" to 3"
Diameter From 1/4" to 14"
We are leading manufacturer, exporter and trader of ACME Thread Gauges and our product are made up of good quality. 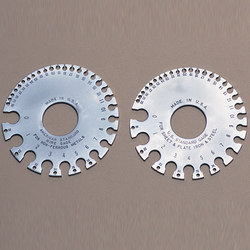 We are leading manufacturer, exporter and trader of Square Thread Gauges and our product are made up of good quality. 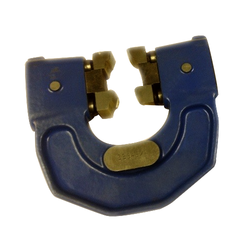 We are offering Square Thread Gauges to our clients..
We are leading manufacturer, exporter and trader of Thread Caliper Gauges and our product are made up of good quality. Diameter From 1/16" to 12"
We are leading manufacturer, exporter and trader of Thread Gauges and our product are made up of good quality. 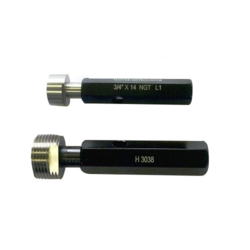 Thread Gauges are available in varied specific requirements of pipe threads for joints made pressure tight by mating of threads and are taper external, taper internal, and parallel internal.